With many years of professional experience, Martin offers a comprehensive violin workshop repair & maintenance service to violins, violas, cellos and double bass. High quality repairs and restoration work undertaken to all string quartet instruments including double bass. All repairs from simple re-touching of varnish to major restoration is carried out by Martin on the premises, always to the highest standard. Professional quality hand cut bridges fitted. Sound post fitting & tonal adjustments. Traditional restoration techniques, seeking always to preserve as much of the original as possible. A full cost estimate of possible repair that may be required is provided to clients before any work is started. Emergency repairs out of hours available. 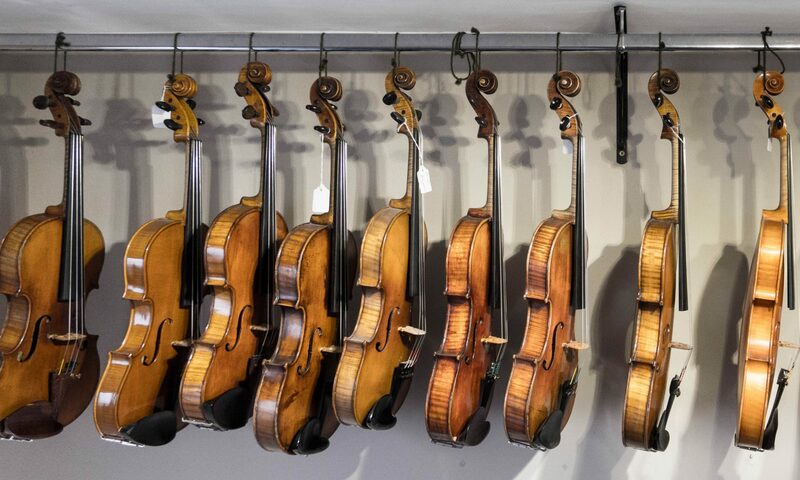 Martin has a sales room with violins, violin outfits, violas, and cellos for sale including violin bows, viola and cello bows and accessories. Check out the Sales area for latest stock list. You will find prices are often lower than that of the large high street violin shops having prices that usually reflect their large running costs. This is of particular benefit to students and conservatory level players whom are often on a budget. Customers can be confident in knowing that any instruments left for repair or available for sale are set up only by Martin, to the highest standard.